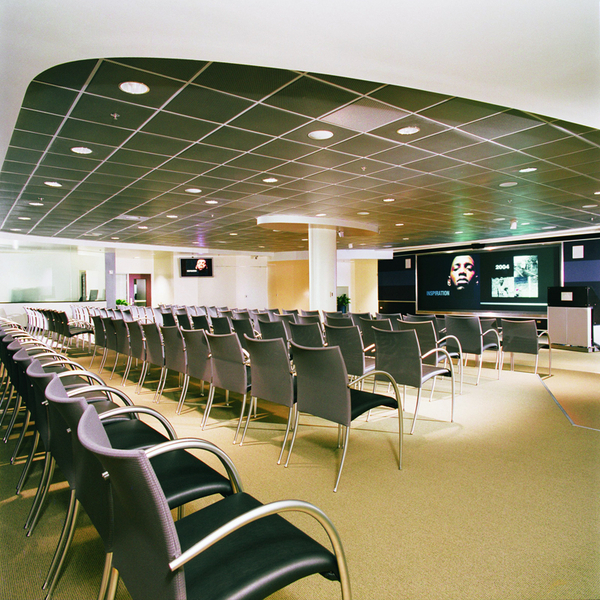 Looking for a way to get involved? How about an opportunity to watch Portland Timbers and Thorns games? Well Active Children Portland has just the opportunity you’re looking for! 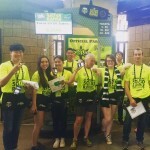 Active Children Portland is looking for volunteers to help us run our 50/50 raffle at Portland Timbers and Thorns games. Come on down to Providence Park and help sell tickets to fans. In addition to helping a good cause, you get to watch the 2nd half of the game and cheer our Portland teams on to victory! Please email info@acportland.org to sign up to volunteer, or for more information. 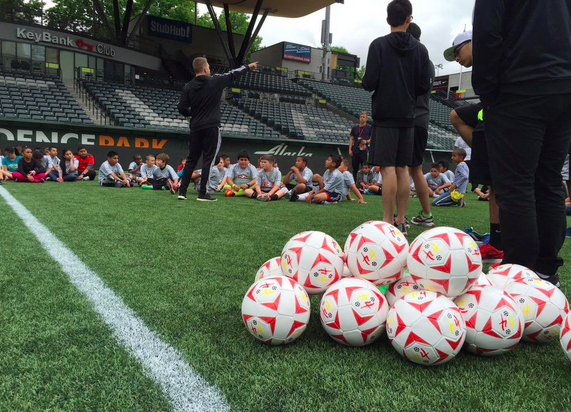 The First Annual Active Children Portland FootGolf Tournament is just a month away! On August 22nd, Glendoover Golf & Tennis will play host to the tournament. FootGolf is an exciting new sport that combines the rules of golf with the energy of soccer. Up to 144 registered players will compete in the shotgun style tournament. 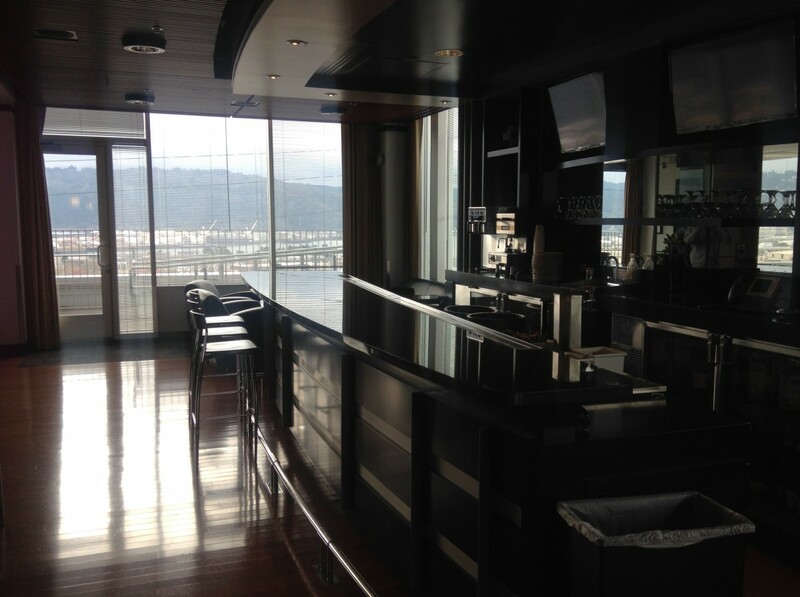 Beverage carts, 21+ wristbands, and merchandise will be available for players throughout the event. Players will also receive a “Swag Bag” that includes sponsor products. Active Children Portland would like to thank our sponsors adidas, Base Camp Brewing, Chipotle and Northrup Corporation. We truly appreciate their partnership. This event wouldn’t be possible without their support. 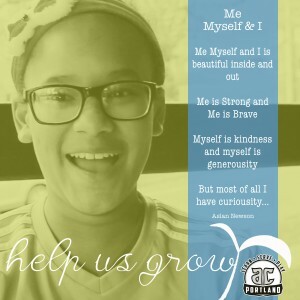 http://acportland.org/wp-content/uploads/2015/07/Footgolf_Banner1.jpg 300 940 acportland http://acportland.org/wp-content/uploads/2015/10/Active-children-logo.png acportland2015-07-20 19:30:342015-07-20 19:30:34FootGolf is Coming! A few weeks ago, The United States Women’s National Team shocked the world and won the 2015 World Cup. Winning the World Cup is a tremendous accomplishment, and everyone at Active Children Portland was thrilled to watch the US Women raise the championship trophy at the conclusion of the tournament. At Active Children Portland, we strive to provide girls the opportunity to succeed on the field, in the classroom, and in their everyday lives. We aim for 50% of our students to be female. But, in order for Active Children Portland to be able to provide these opportunities for local students, we need your help. 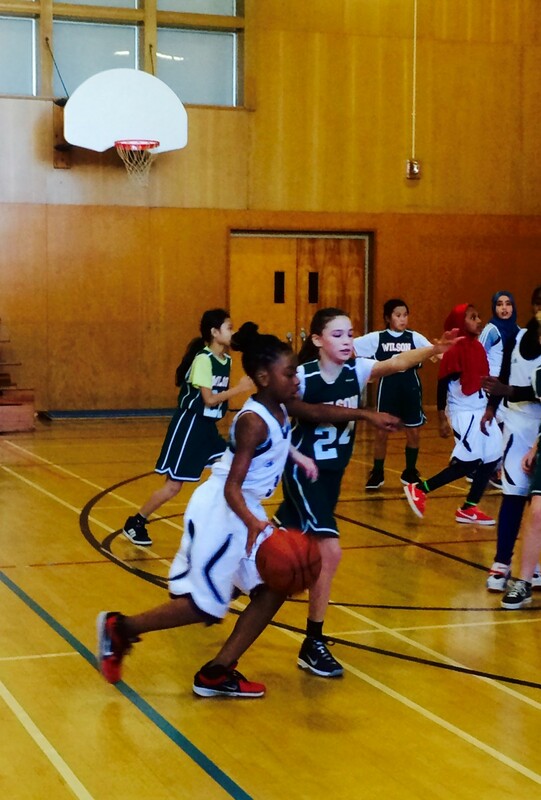 Please donate to Active Children Portland today so that we can continue to provide after school programming for students in under served communities. Active Children Portland is currently seeking help with two different positions. to read the job descriptions that include instructions for applying. http://acportland.org/wp-content/uploads/2015/06/Screen-Shot-2015-06-05-at-11.43.31-AM.png 239 401 acportland http://acportland.org/wp-content/uploads/2015/10/Active-children-logo.png acportland2015-06-05 19:11:552015-06-05 19:11:55We're Hiring! Active Children Portland held our annual Spring Frenzy at Providence Park on Saturday, May 16th. Over 160 students came out to participate in drills, skill stations, and scrimmages. 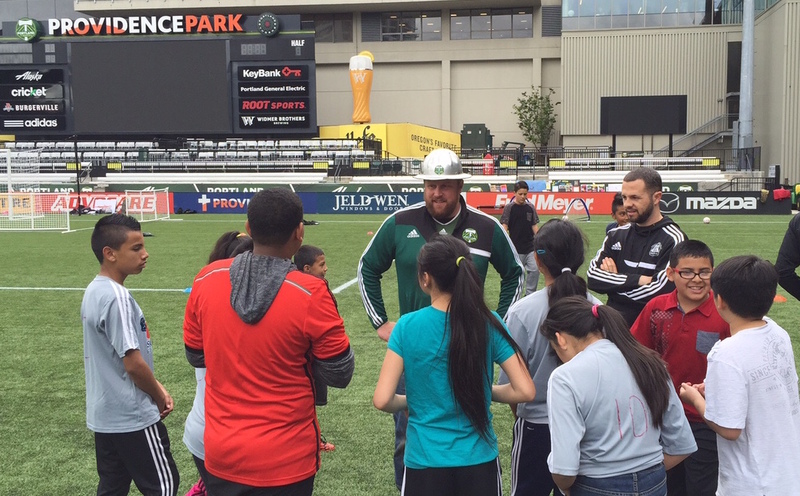 The kids were thrilled to have the opportunity to play on the same field as the Portland Timbers and Thorns! Program Manager Jared Hoffman talks to students before kicking things off. Students had a great time at Spring Frenzy, and were ecstatic to be visited by Timbers Joey! Additionally, students had the opportunity to showcase their different service-learning projects. It was a great opportunity for students to showcase their creativity and highlight their desire to promote change in their communities. Timber Joey talks to students. 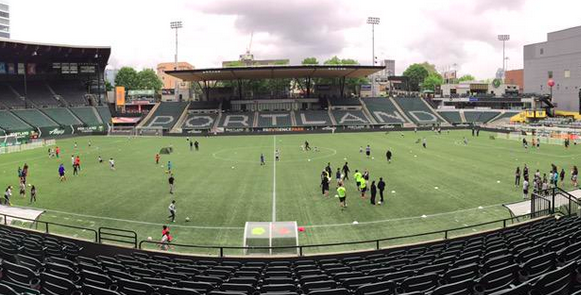 We’d like to thank Sunset Audi for donating the field to Active Children Portland for the day. Thank you Chipotle and Michael Nanchoff for donating lunch to all of our students. Thank you Hunt 4 Soccer for donating soccer balls for all of the students in Active Children Portland programs. Thank you to Kind Snacks and Providence Health for donating healthy snacks. And of course, a huge thanks to to our great partners, The Portland Timbers and the Stand Together Program! Through them, so many things are made possible for our children. Finally, we’d like to thank all of the coaches and volunteers who helped make Spring Frenzy successful. Thank you for all of your time and support! A panoramic shot of Providence Park during Spring Frenzy. Bona Kalil is a 4th grader at Cesar Chavez school. Soccer is Bona’s favorite sport and this is his 4th year in our program. Bona was born and raised in Ethiopia. He moved to the United States when he was five and at the time could not speak English. Playing soccer was a way for him to connect with others and make friends in his community. 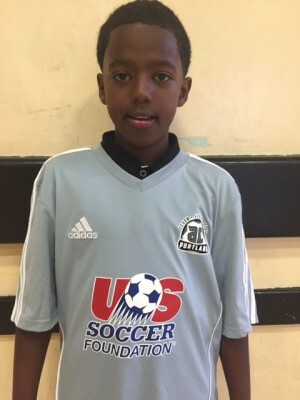 The America scores program has provided Bona with the opportunity to not only develop his soccer skills, it has helped him understand the importance of nutrition combined with physical exercise. Bona enjoyed eating junk food and drinking soda but after being a part of the America Scores program he now says that too much soda and junk food isn’t helpful. He wants to balance his intake of junk food with healthier food choices. In addition to his nutritional education, the America scores program encourages its participants to educate the mind as well as the body. We took Bona to Benson High School for a poetry slam where he was featured and performed poetry in front of hundreds of people. Bona is a young man of many talents, and dreams of one day becoming a professional soccer player and engineer. He loves to fix things and wants to help people in the same way that America Scores has helped him. Bona’s coaches have taught him to stay humble and have good sportsmanship. He sees the importance of going to practice every day in order to learn the skills necessary to become a better player. In the same way, he feels that it is very important for him to go to school every day in order to get a good education. He is a firm believer in good sportsmanship. He helps players stop fights and will help his teammates and opponents up when they fall down. For Bona, good sportsmanship goes beyond the soccer field, it is an attitude that he carries with him everywhere he goes. He believes that having good sportsmanship will help him get into a good college and further his education. Bona understands that the skills he is learning with America Scores is about more than just soccer, it’s about life. He sees the big picture, has big dreams, and is thankful for the opportunities that have been given to him. His teammates and coaches rave about his character, the energy he brings with him every day, and his commitment to become better both on and off the soccer pitch. 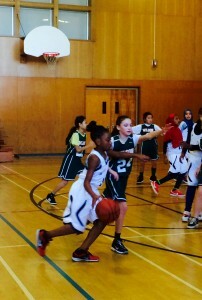 Active Children Portland is honored to recognize Bona Kalil as this week’s “bonafied” player of the week. 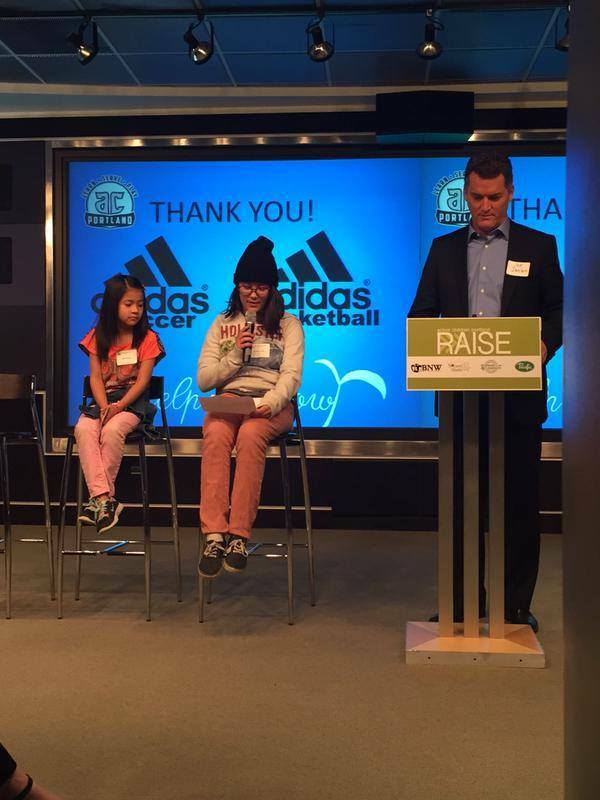 On Friday, April 10th, Active Children Portland hosted their annual #RAISE fundraiser at the adidas Village Conference Center & Lounge. On a night dedicated to celebrating youth creativity and athletics, 120 attendees came together to raise over $40,000. 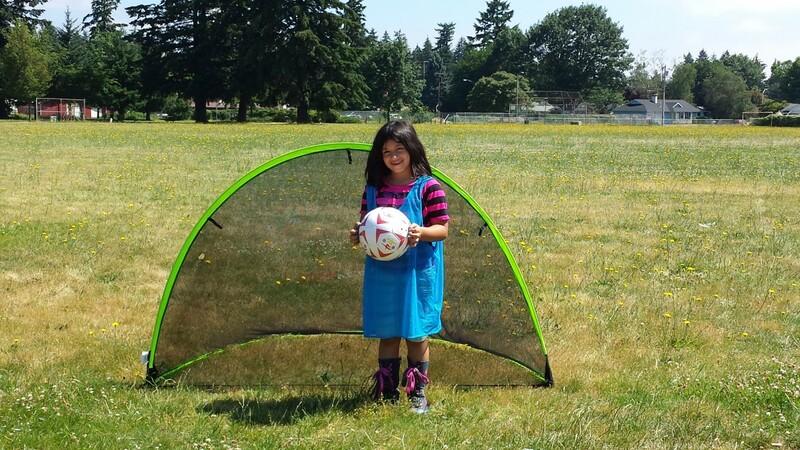 Thanks to these donations, and to the Office of Juvenile Justice and Delinquency Prevention grant Active Children Portland received through the US Soccer Foundation, we’re proud to announce that we’ll be expanding to 14 locations in the fall of 2015. 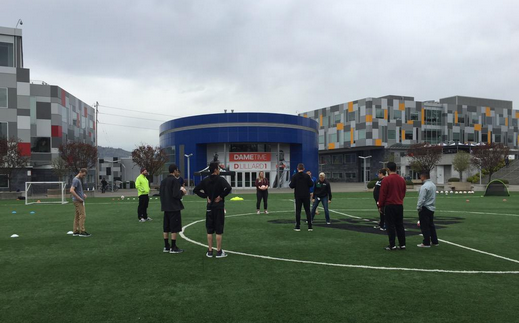 #RAISE2015 offered a number of fun activities and games that attendees took part in. The silent auction was a huge hit, with attendees bidding on items ranging from autographed sports memorabilia to tickets to Portland Timbers and Thorns games. Attendees also had their choice of games. 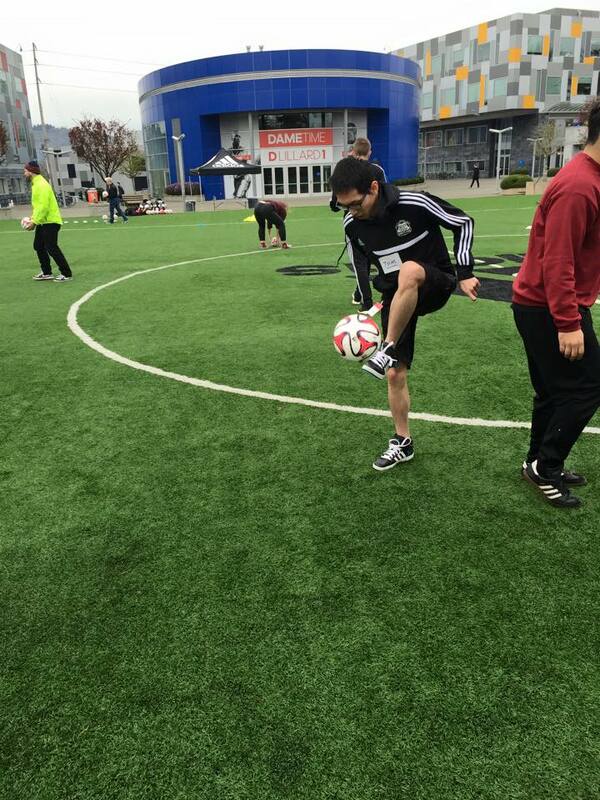 Portland Timbers stars Darlington Nagbe and Nat Borchers were on hand to take on attendees in FIFA and in foosball, showing their skills aren’t just limited to the soccer field. 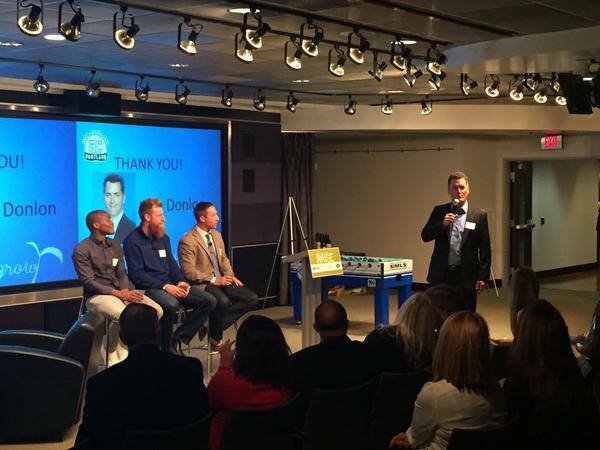 KGW host Joe Donlon hosted our program, introducing attendees to Coach Caleb Porter, Darlington Nagbe, Nat Borchers, our two student poets, and Ben Dudley, our former Executive Director. Make sure to check out some of the great photos from the event on our flickr page! You can see those here: https://www.flickr.com/photos/132561325@N03/. Thank you to our specials guests, including: KGW Host Joe Donlon, Portland Timbers Coach Caleb Porter, and Portland Timber stars Darlington Nagbe and Nat Borchers. We greatly appreciate their time and support. Thank you to our Presenting Sponsors: Soccer Shots, Beef Northwest, Pacific Foods, Organic By Nature. Thank you adidas for providing the Conference Center & Lounge for our event. We’d also like to thank all of sponsors who made the evening possible, including: adidas Soccer, adidas Basketball, US Soccer Foundation, Portland Timbers, Active Children Board of Directors, Providence, Amy Roloff Charity Foundation, Northup Corporation, Samuels Yoelin Kantor LLP, Patty Goffe, Bon Appetit, Portland Trail Blazers, Metropolitan Family Services, Hacienda, Boys & Girls Clubs, Neighborhood House, Impact NW, and LifeWorks Northwest. 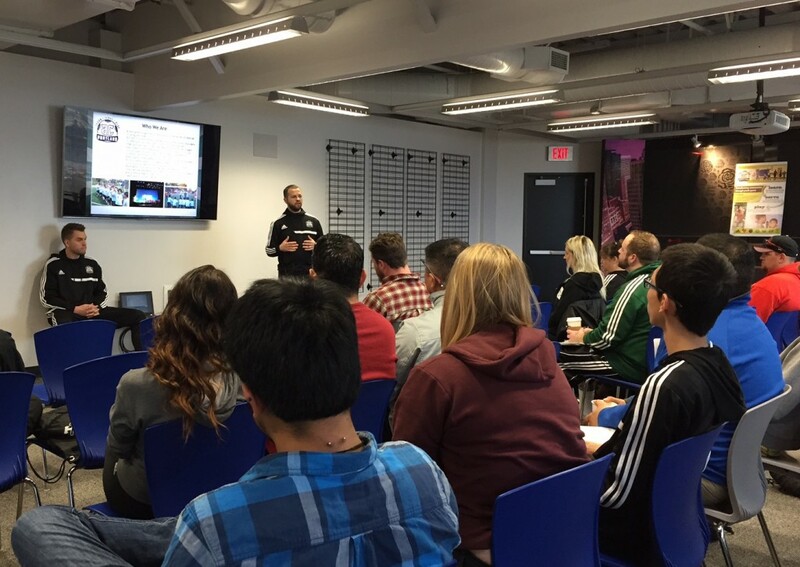 Make sure to check out some of the photos from #RAISE2015 below. Thank you again for your continued support, and we look forward to seeing you next year at #RAISE2016! 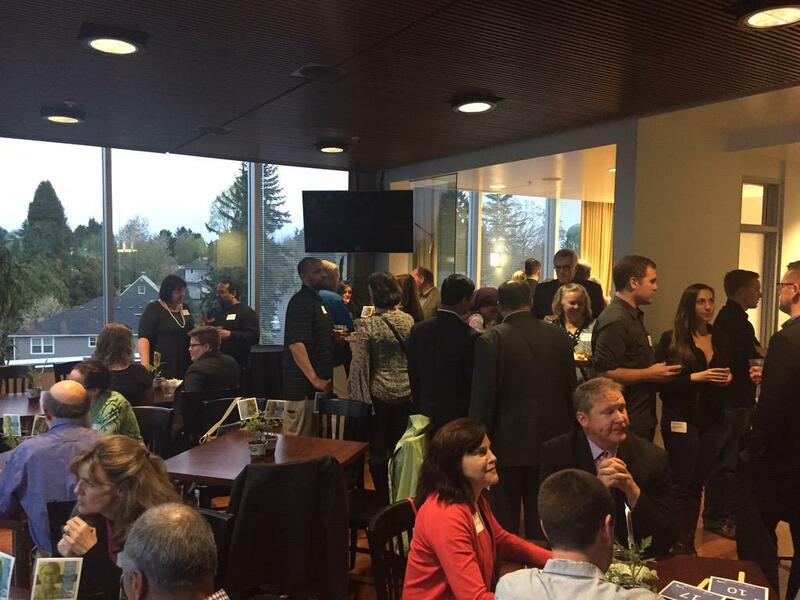 Attendees enjoyed great food, drink, and conversation. Our student poets did a fantastic job! Our student poets with KGW host Joe Donlon. KGW host Joe Donlon introduces Portland Timbers Coach Caleb Porter and star players Darlington Nagbe and Nat Borchers. 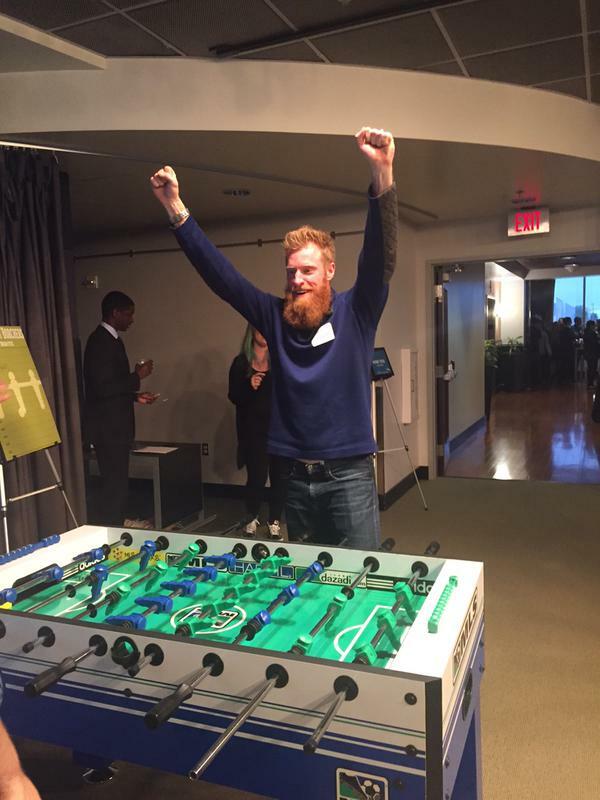 Nat Borchers scores a goal! 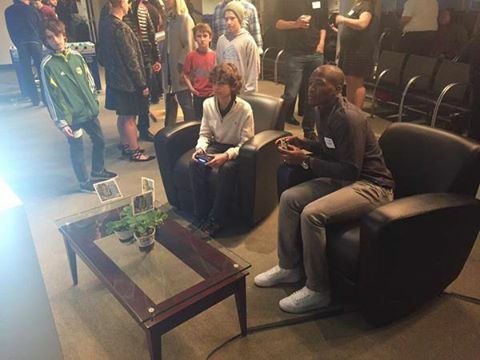 Darlington Nagbe takes on a fan in FIFA. 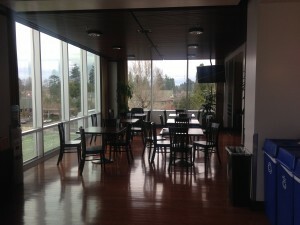 http://acportland.org/wp-content/uploads/2015/04/11083685_823886897694951_326900886317660488_n.jpg 450 600 acportland http://acportland.org/wp-content/uploads/2015/10/Active-children-logo.png acportland2015-04-27 17:10:462015-11-06 15:45:58#RAISE2015 a Success! 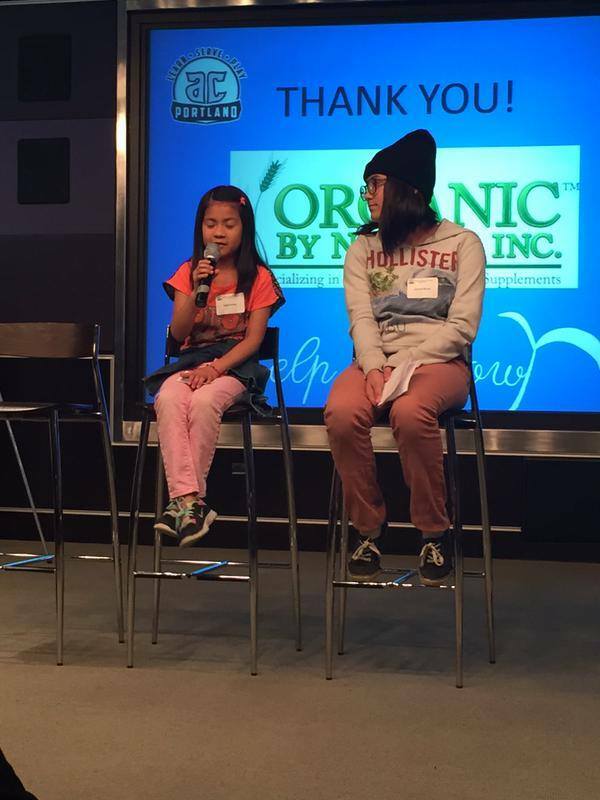 Why is Active Children Portland Programming different? 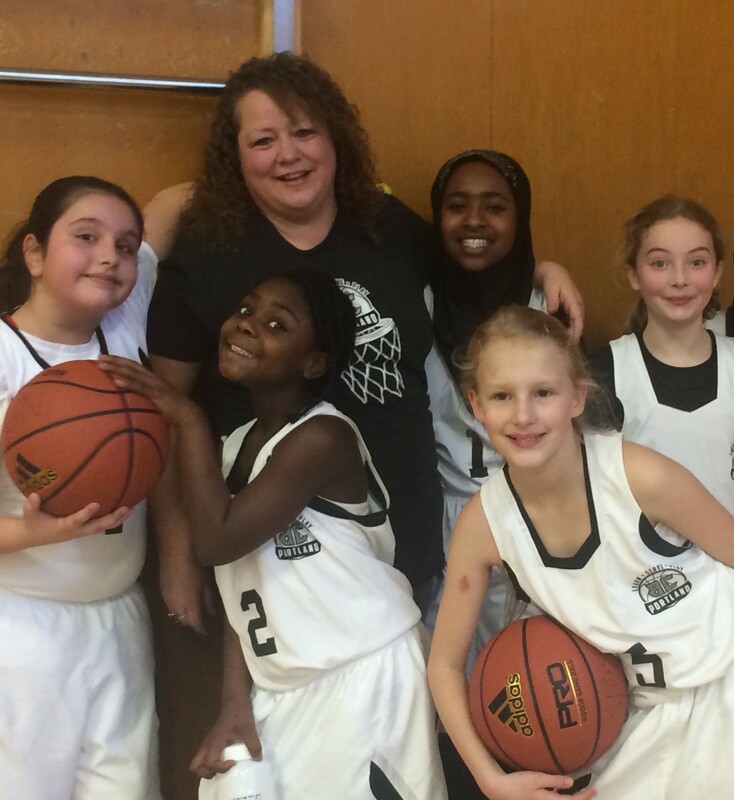 This basketball season Active Children Portland developed a new curriculum to implement at our sites. All the different schools took part in our boys and girls leagues, and the Markham Elementary girls team made it all the way to the finals! 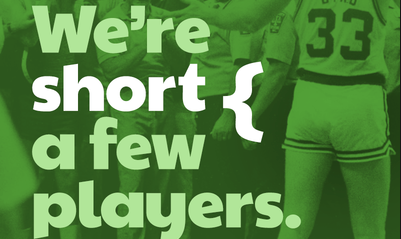 This year we spent lot of time developing a new kind of way to look at the sport of basketball. Active Children Portland designed the season’s curriculum to be focused on students learning and practicing empathy, self-regulation and conflict resolution skills. While these skills are necessary to be successful on the court, they are even more important in the everyday lives of our athletes. The Markham’s Basketball team became a family. It is crucial that at this age, girls feels like they have close relationships to other girls so they can confide and empower one another. Coach Kim Cardoza, did a great job at crating a space for the girls on the team to “be” but most importantly left rooms for the girls to “become” in Basketball and relationally. We are very confident that the skills and organic relationship that the girls developed on this team will forever be with them! The girls sportsmanship was amazing!! The Markham Eagles took 2nd in the Portland Parks and Recreations Goldenball league. 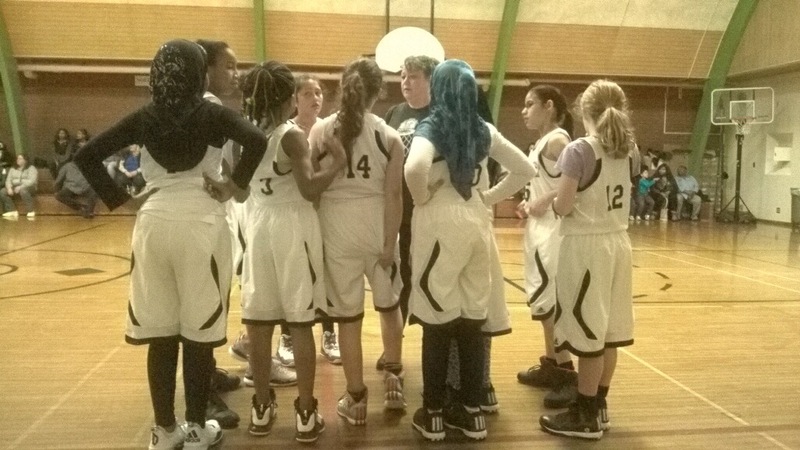 The girls vibrant and positive attitude was contagious for everyone who watched their games. At the final game the girls embodied so well what Active Children Portland is all about. “The girls received their trophy and looked over at the winning team who were all in a group jumping up and down in celebration. Then they all ran over and wrapped their arms around the champions and cheered with them. I was so proud” says Coach Kim. We’ve been telling you all along Active Children Portland is different! If you want to experience this, come to practice, a game, volunteer with us or donate. Once you start you will not stop, Guaranteed!! http://acportland.org/wp-content/uploads/2015/04/kim.jpg 1200 1101 acportland http://acportland.org/wp-content/uploads/2015/10/Active-children-logo.png acportland2015-04-02 20:07:402015-04-02 20:37:58Why is Active Children Portland Programming different? 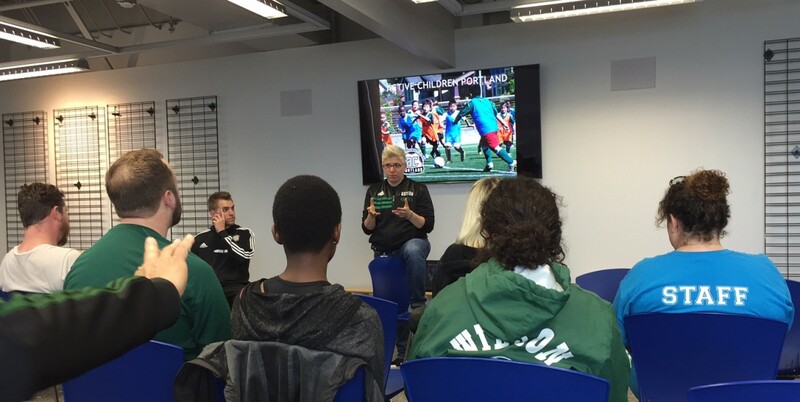 Active Children Portland held an annual training session designed to prepare coaches for the spring soccer program on Friday, March 20th. This daylong session was an opportunity for the 30 attendees, including coaches from Active Children Portland’s 11 different sites, to come together to learn about Active Children Portland’s program model, curriculum, and best practices. Active Children Portland Executive Director Ben Dudley and Program Manager Jared Hoffman led the coaches through an on field practice demonstration with support from the rest of the Active Children Portland team. Thank you to adidas for allowing us to use the field! Ben Dudley runs our coaches through dribbling drills. A very special thank you to Diana Cutaia from Coaching Peace for working with our coaches and helping prepare them for the upcoming season. We’d also like to thank Providence for coming out and talking to our coaches about concussion awareness in order to help us keep students safe on the field! Diana Cutaia from Coaching Peace talking to our coaches. Thank you to our volunteers, supporters, sponsors and coaches for making this training a great day! We’re very excited for the spring soccer season to get underway. 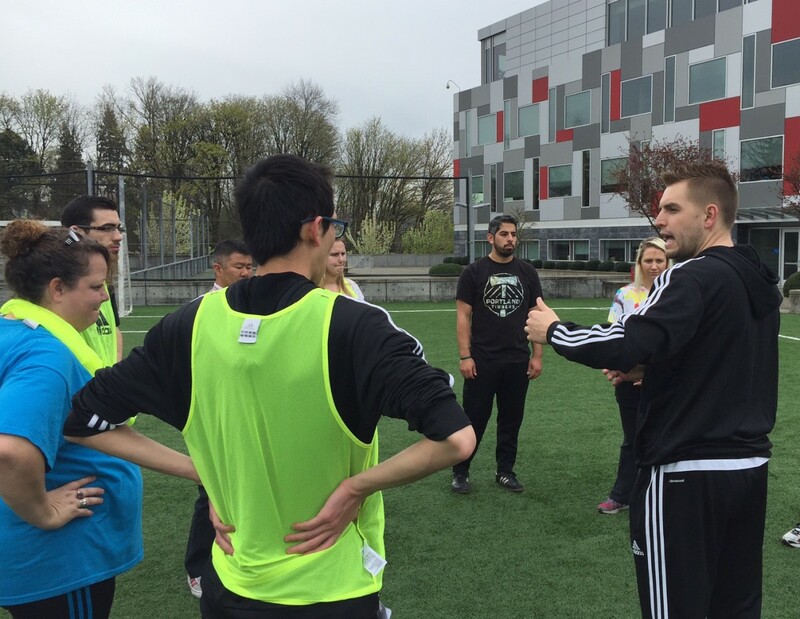 Coaches are essential to ensuring Active Children Portland’s programs run smoothly, and we appreciate all of their hard work and dedication! 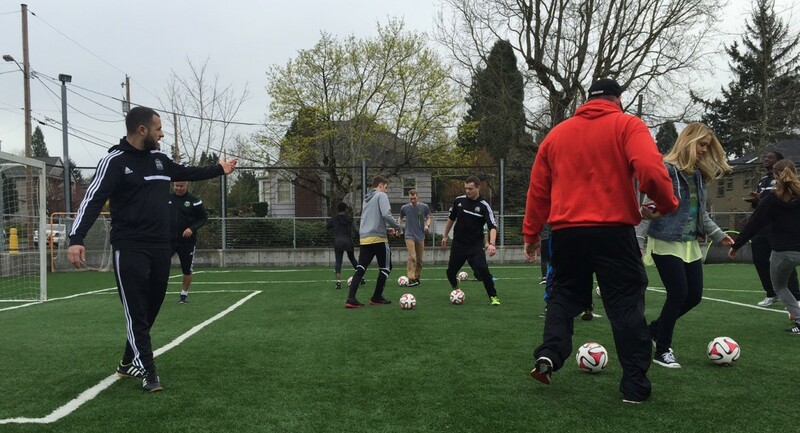 We’ll see you on the field, and be sure to check out some more pictures from our training below! Executive Director Ben Dudley (center) speaks to the coaches. Program Manager Jared Hoffman (seated, left) is also pictured. Live practice demonstration out on the adidas field. One of our coaches shows off some sweet ball handling skills! 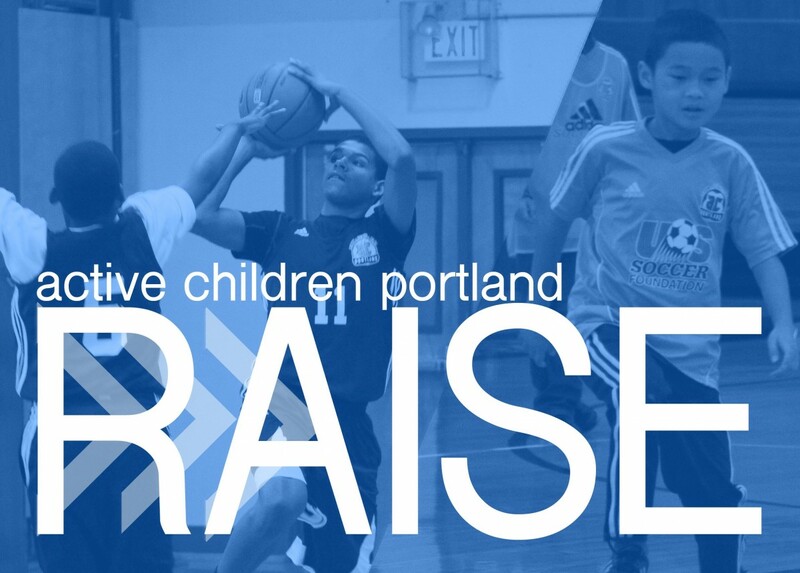 Active Children Portland is proud to announce RAISE 2015! Presented by Soccer Shots, Organic By Nature, Beef Northwest, and Pacific Foods. We hope you can join us at the adidas Village Conference Center and Lounge in North Portland on April 10th for an evening dedicated to honoring youth, creativity and sports. 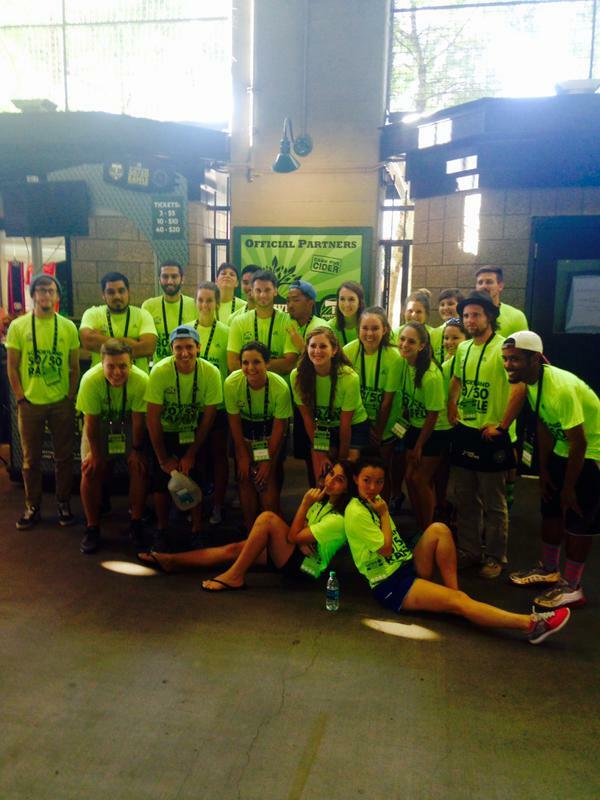 Help us make RAISE 2015 a success, and join the team today! Tickets are $100/person or you can bring your team for $1000. Not only does your $1000 donation give your team of 10 a fun-filled night, but it also provides five students with an entire season of sports based youth development. We’ll see you on April 10th at adidas!